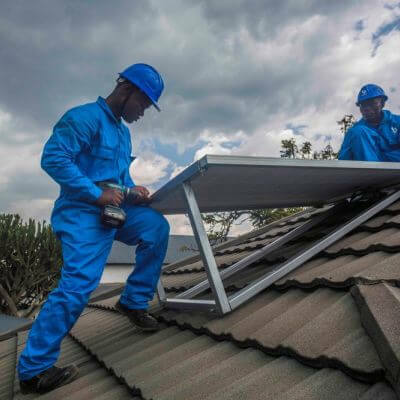 With more than 600 million people lacking access to electricity in Sub-Saharan Africa, off-grid renewable energy has the potential to transform economies and lift millions out of poverty. 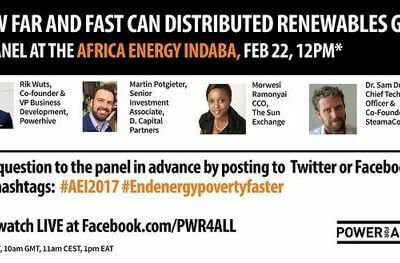 But green power can do something else, too: it can help solve the continent’s mounting unemployment crisis. 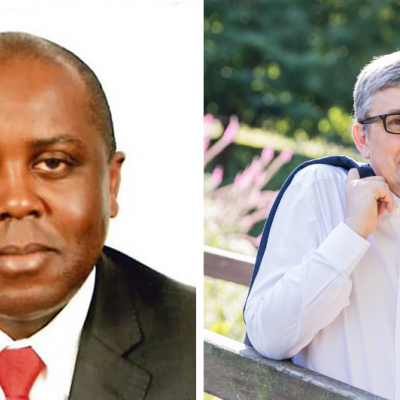 A perspective by Mugo Kibati of M-KOPA and Gilles Vermot Desroches of Schneider Electric. 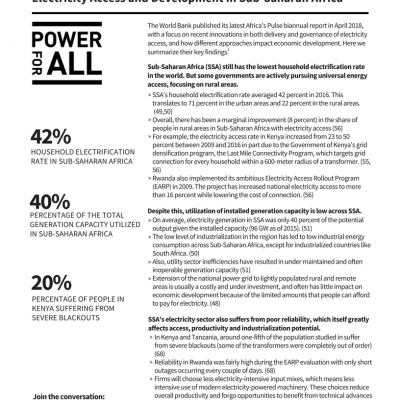 The Africa’s Pulse biannual report by The World Bank focuses on electricity access in Sub-Saharan Africa. It looks at recent innovations in access delivery and governance, and how different approaches impact economic development. Power for All had a significant presence at the SEforALL Forum. CEO Kristina Skierka joined a high-level panel on “Electricity for All in Sub-Saharan Africa”, and research director Rebekah Shirley guided an interactive working session called the “Energy Access Dividend- Data that Informs and Influences”, looking at how to further research on socio-economic impacts of electricity access, with participation from Acumen, Duke University, RVE.SOL, wPower Hub and the World Health Organization. 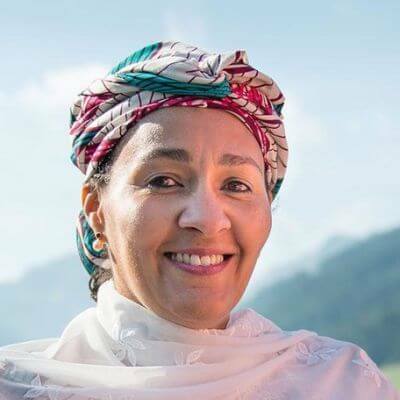 To meet Sustainable Development Goal 7—clean, affordable, modern energy for all—by 2030 we need a 'revolution' in progress towards the universal energy access target. This infographic, based on data and analysis by the Overseas Development Institute, is a stark illustration of how far we are off track. 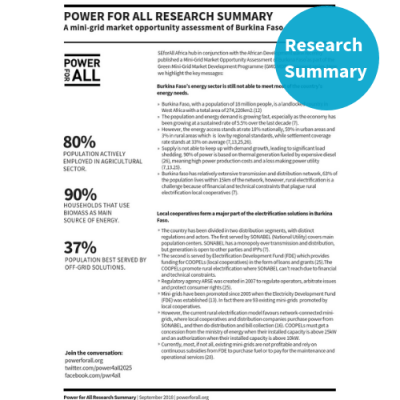 But decentralized solutions—such as mini-grids and solar home systems—are key to closing the energy access progress gap, and will ensure that 1+ billion people are not left behind. 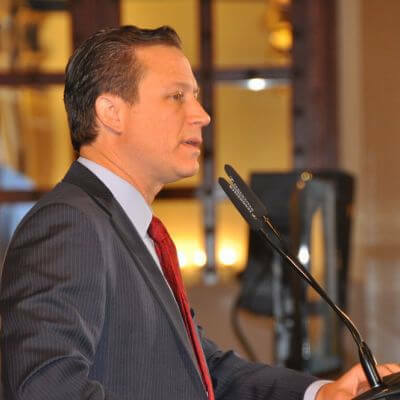 During the recent Global Off-Grid Solar Forum, we sat down with Andrew Herscowitz, Coordinator of the U.S. Agency for International Development’s Power Africa, to discuss the future of the initiative’s pioneering market-based effort to scale energy access in Sub-Saharan Africa. 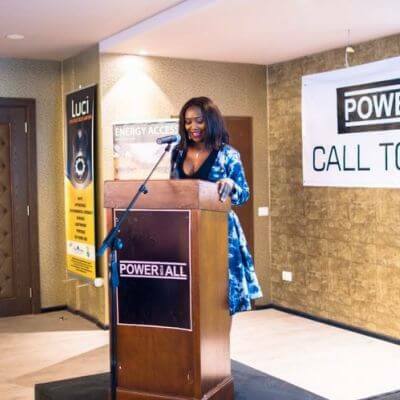 Power Africa turns 5 years old in June. The Democratic Republic of Congo (DRC) is ranked 184 out of 190 on the World Bank’s ease of doing business index and 175 on ease of getting electricity. 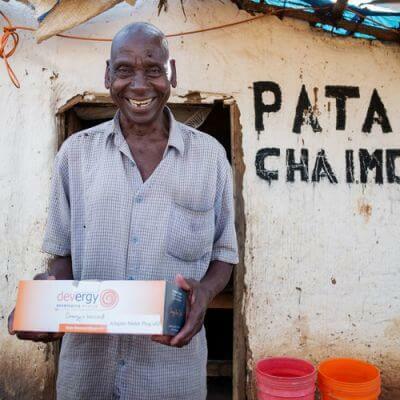 By comparison, Kenya, a favorite of the donor community when it comes to energy access, ranks 92 and 106 respectively. 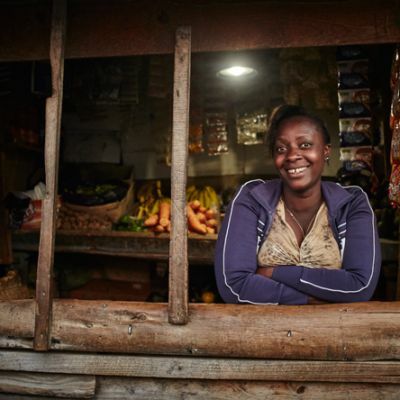 The World Bank recently credited Kenya $150 million to provide solar to under-served communities. FREETOWN, Sierra Leone, March 22, 2017—The Sierra Leone Government, civil society and private sector joined forces today in a Call to Action on energy access. 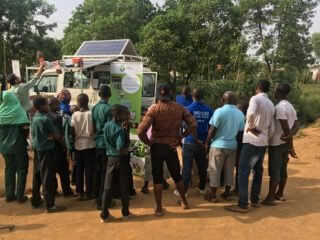 At the event, attended by the Energy Minister and leading civil society and private sector representatives, each group made powerful commitments to undertake activities that will accelerate the growth of the decentralized renewable energy (DRE) market—vital for reaching 6 million people living in energy poverty. 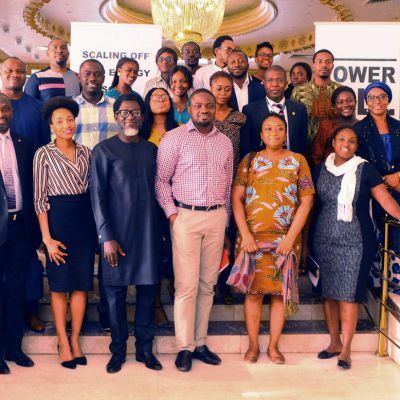 This week, Power for All partner Devergy shared an honest, tell-all look at the difficulties they faced when raising awareness of their solar micro-grid technology in rural communities, and the hard work they put in to creating solutions. Read their first-hand account of the challenges they countered attracting new customers, and how they have turned challenges into opportunity. 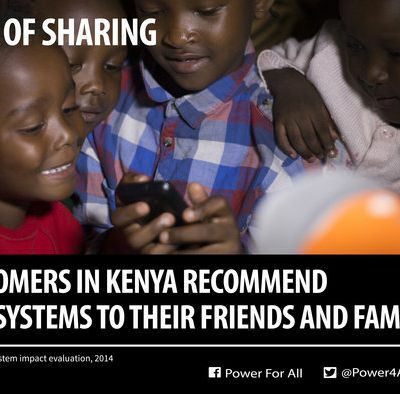 Making the switch from a familiar energy source to a new solution is a significant commitment, so peer to peer endorsement and over-the-odds benefits are key. 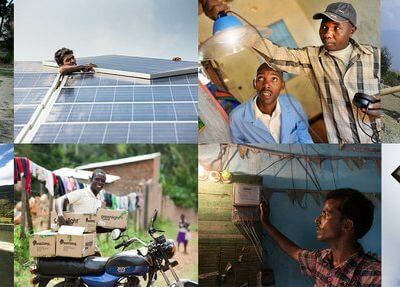 Thankfully, for solar lights and solar home systems, big benefits have led to big recommendation. 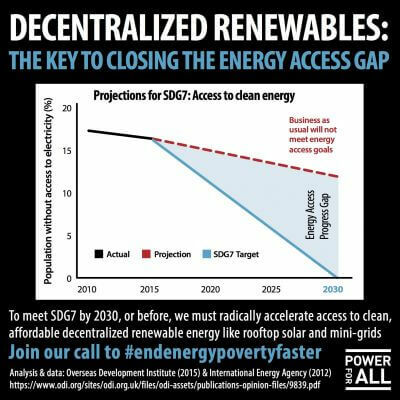 Find out about recent activities, and the up-coming events where Power for All is profiling decentralized renewables—and get involved! In 2017, the African Development Bank (AfDB) will hold its annual meeting in India for the first time. 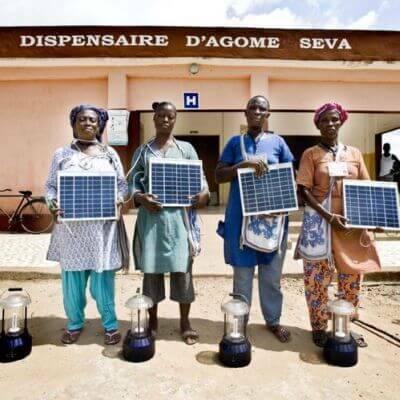 The AfDB has targeted 75 million decentralized renewable connections in its plan to achieve universal energy access by 2025, while India has its sights on 40 GW of rooftop solar and 10,000 mini-grids in its bid to achieve “24/7 Power for All” by 2019. Imagine the learnings that the two have to share. 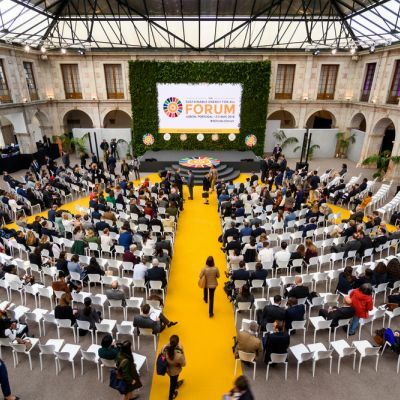 Next year, also sees the International Solar Alliance (ISA) hit its stride, bringing together 20+ countries with a major focus on energy access through decentralized solutions, and opportunities for cross-learning are bolstered further under the Paris climate agreement plans for regional partnerships and technology transfer—a key to the low carbon transition. 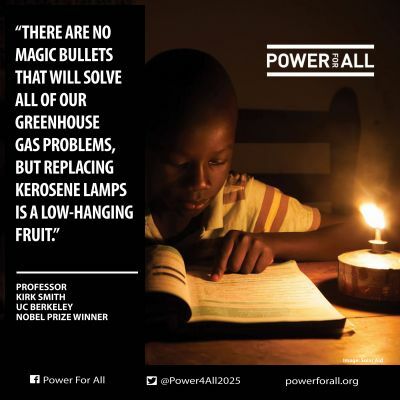 Over 1 billion people do not have access to reliable, affordable electricity; they are often forced to turn to polluting, hazardous, and expensive solutions like kerosene, charcoal and diesel in order to fuel their lives. 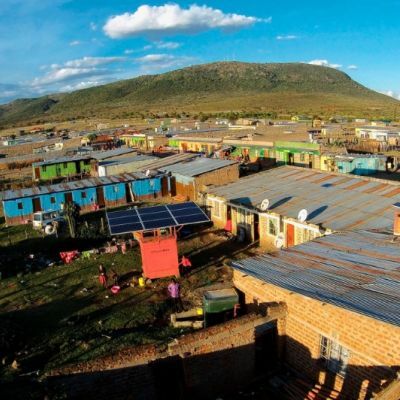 The leading mini-grid program in Africa today released its first findings after nearly two years of deployment in Kenya. The latest Global Green Economy Index (GGEI) showed that Zambia is crushing it. 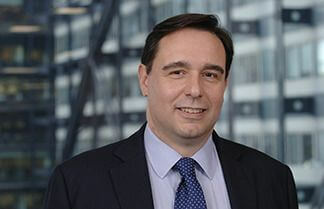 The country moved up 16 places in the performance rankings between 2014 and 2016, making it the only emerging economy to be in the top 10 besides Brazil. 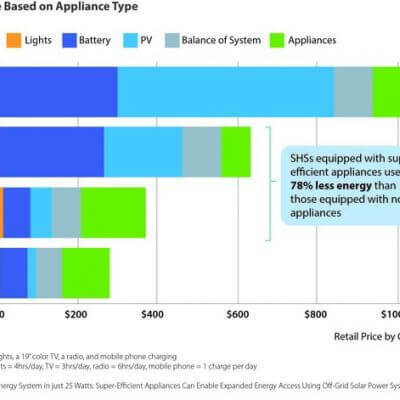 The 1.4 billion domestic refrigerators and freezers in use worldwide each consume an average annual 450 kWh of electricity, accounting for almost 14 percent of total household electricity consumption. As we work to end energy poverty for 1.1 billion people worldwide, those numbers are sure to rise. 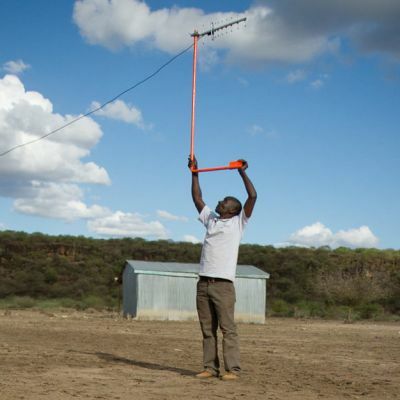 East Africa is a leader in the decentralized renewable energy revolution, and along with India it is the most closely watched market as it relates to scaling mini-grids. This is especially true of Tanzania. 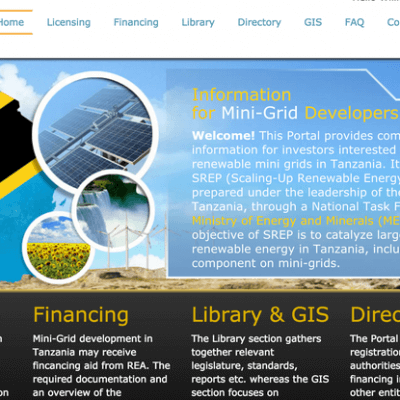 What happens in Tanzania will have implications for the success of mini-grids elsewhere. 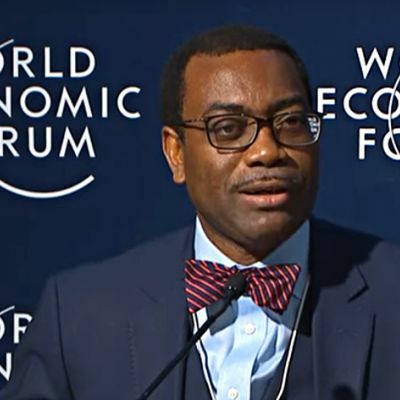 Is AfDB’s new deal on energy forgetting decentralized? 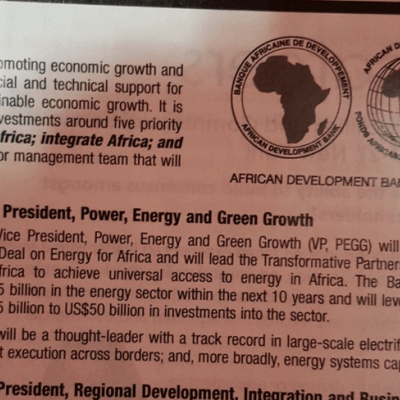 In an advert this week in The Economist, the African Development Bank posted an opening for a Vice President of Power, Energy and Green Growth (VP of PEGG), who it said “will champion the New Deal on Energy for Africa and will lead the Transformative Partnership on Energy for Africa to achieve universal energy access in Africa.” Great news, right? 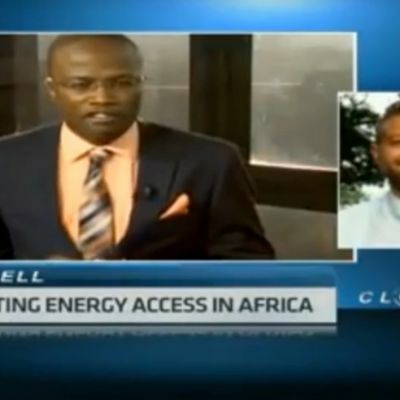 Following the launch of our latest report Decentralized Renewables: The Fast Track to Energy Access at the African Development Bank Annual General Meetings, Aaron Leopold, Deputy Director of Global Advocacy spoke live from Lusaka to CNBC Africa, while Cheidza Mazaiwana, Zimbabwe Campaign Director, highlighted to Business Incorporated how decentralized renewables are combating the country's energy crisis. Watch the interviews below and join the call to action. 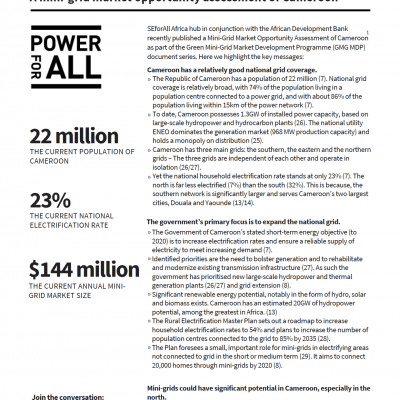 Lusaka, May 25, 2016 -- At the African Development Bank (AfDB) annual meeting today, Power for All released a new framework for achieving universal energy access before 2030, which outlines specific actions multilateral development banks (MDBs) can and should take to expedite delivery of electricity to the 1.1 billion people living without access to modern energy services. 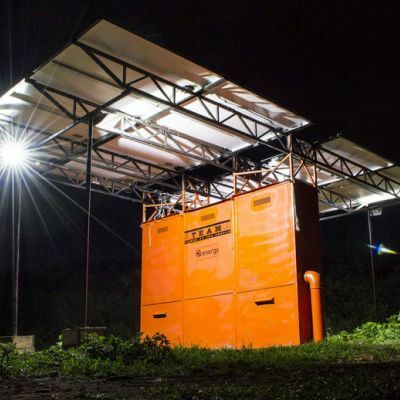 The framework, which was previewed at the World Bank Spring Meetings in April, is contained in a report titled “Decentralized Energy: the Fast-Track to Universal Energy Access”.